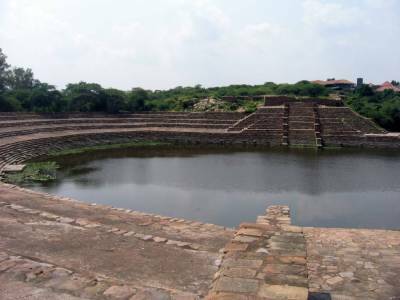 The Surajkund is predominantly a reservoir built long ago in the fag end of the 1st millennium into the Common Era. The place, however, serves as one of the main attractions for people visiting the glorious state of Haryana in India. It is believed that the construction of the Surajkund was done under the order to the Tomar dynasty king, Suraj Pal, thus, the name Surajkund. But it was also made as a homage paid by the king to their revered deity, the Sun God, whose temple stands just a few steps away on the bank of the Surajkund to the west. The reservoir of Surajkund was built as a worshipping lake for the devotees of Sun God, as praying to the lord while being in the water at dawn and dusk was an important ritual. The architecture of this man made depression is awe inspiring. The stone works of the bank imprints an impression of a hemispherical sun onto the onlookers' vision. 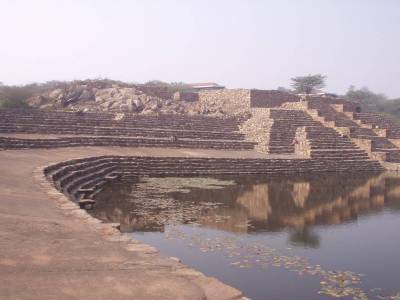 The reservoir of Surajkund was built with the view of an amphitheatre where the Tomar dynasty people held cultural programs and all. As a 10th century CE construction of the last Hindu ruler of Delhi, Surajkund has great historical significance. 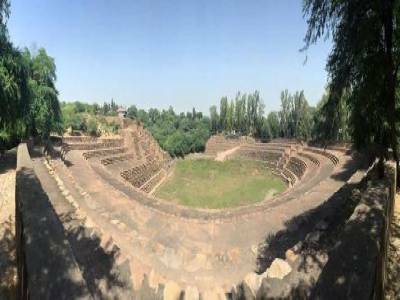 The location of Surajkund in Faridabad makes it an easy reach for travelers from far and wide with the help of proficient roadway, railway and airway. 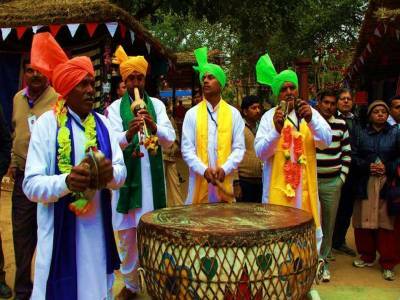 The main tourist attraction of Surajkund is the glamorous Surajkund International Craft Fair which is held once every year with pomp and grandeur and more then 25 countries participating every year. 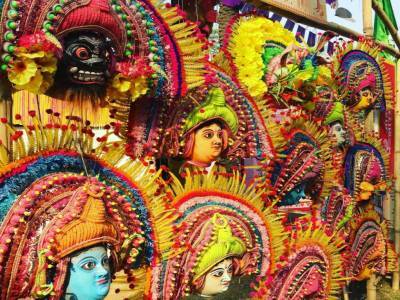 All the states in India having thier stalls in Surajkund craft mela and sell the handicraft items. Get quick answers from travelers who visit to Surajkund.